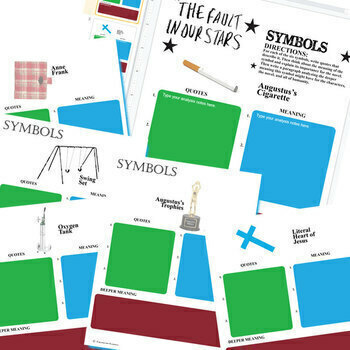 Our The Fault in Our Stars Symbols organizer helps learners work through a difficult subject. Using this sweet-looking graphic organizer, they will analyze 6 key symbols/motifs from the novel. They will make note of 2-3 key quotes about each symbol. 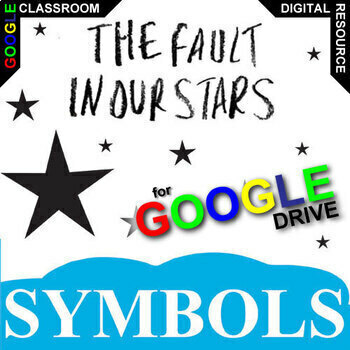 Then they will analyze what deeper meaning the symbol means in the novel. 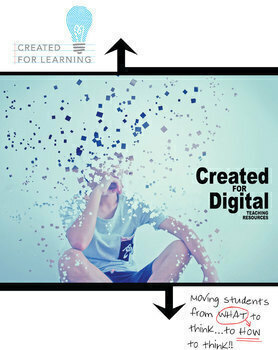 This Created for Digital resource will soon be able to be purchased as part of our THE FAULT IN OUR STARS Digital Unit Novel Teaching Package (coming soon...).. Enjoy The Fault in Our Stars! And enjoy the larger infinities!